The bowlers holding the batsman’s willy….. Explaining cricket and it’s terminology is akin to lecturing about quantum mechanics or the string theory in particle physics. Cricket is a sport synonymous with England. Just like Rugby it has influenced the world. General terms like “It’s not cricket” means that it is not sporting behaviour. To “bowl a maiden over” does not mean you have scored in a nightclub, assuming a maiden still exists in such establishments. Yet a “maiden” is a virgin. It means that out of six balls bowled, no runs (points) were conceded. Unless an individual has ever played cricket it is unlikely that they will understand it. Unlike football or tennis where the rules of the game are reasonably simple – cricket will baffle the greatest armchair enthusiast. Cricket is a legacy of British influence around the world. In India, Pakistan, Sri Lanka, Africa, Afghanistan, France, Australia, New Zealand, the West Indies and even the USA, to name a few, and all regard it’s rules and phrases as a common language. For the uninitiated here is an overview. A failure to understand is not a reflection on an individuals intelligence. A cricket match is contested between two sides each of eleven players. When one side is “in” the other side is “out”, and it is the job of the “out” side to get the “in” side out. This is achieved by dismissing the batsmen on the “in” side by several methods. When a side is batting it is called an “innings”, and will last as long as each batsman can hold his wicket. the wicket is what the batsman must protect at all costs – if someone says “you’re on a sticky wicket” it means your position is precarious. Unless that is, if they hold their innings for quite a long period and score an extremely high number of runs, in which case the captain will “declare” or “forfeit” the remainder of his innings. It’s a tactical decision, and he is hoping the opposition will not be able to match his side’s number of runs in the available number of overs. Failure to declare can result in the match drawn, even though one side has more runs than another. In business, If your boss says he’s “holding his wicket”, it means he has control of the situation and hanging on. When a batsman is bowled out, a new batsman goes in. When both sides have been in and out, they do it all over again, and this is called the second innings. If your boss suggests you have more than one innings, there is hope for you yet. Eventually, if all goes to the wire, only one batsman will remain, who will not be allowed to bat on his own – he’s the last man standing. 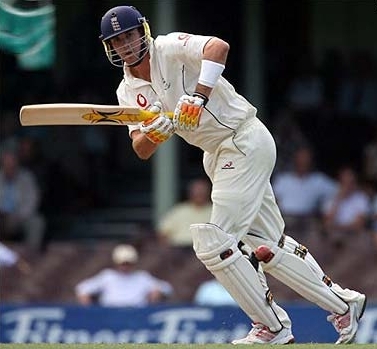 This last man, however, may not necessarily be the eleventh or last man who went in to bat. Indeed, the last man standing could have been one of the first men in, if he was never out. If your boss says you are the last man in, the chances are you are doomed. Still with it? Right. Time for some explanations. Two innings per side will occur in international test matches. A test lasts for five days. Up to five tests can be played over several weeks, called the First to the Fifth Test respectively, when the event is hosted by one country, whose opponent is another (the tourists). Whilst many matches may result in a grand trophy, England and Australia play each other every two years for a small urn of cremated wooden bails from 1882 -The Ashes – which is a prize more sought than any silver or gold cup. The length of a cricket match is dependent on the number of overs per side. That is the number of balls the bowlers are permitted to bowl. There are six balls to an over. Therefore if a match is limited to ten overs per innings, (in “one-day” cricket, for example and county games) then after sixty balls have been bowled, the innings’ end, regardless of how many wickets are left (if any). Wickets in this case are the number of batsmen who have not come to the crease (still in the pavilion), which is the demarcation line from the stumps where the batsman is allowed to hit the ball or defend his wicket, and also the last point for the bowler to execute his delivery. If the bowler steps over the crease after his approach run, then it’s a “no ball”, and a score (or run) is given to the opposing side. If a bowler successfully bowls his over without any runs being scored by the batsman, then he would have bowled a “maiden over”. The stumps are three 28inch high pieces of wood which comprise the wicket, with a total width of 9 inches, and balance two small wooden objects known as the bails. There are two wickets, one at each end of the pitch, which is 22 yards long from stump to stump with each wicket defended by a batsman. The bails must dislodge from the stumps for the batsman to be out. In the surrounding oval shaped playing field, with a diameter of roughly 160 yards, stand the fielders of the side which is “out”. With the exception of the wicket-keeper (who crouches behind the batsman’s wicket being bowled at) and the bowler, there are nine fielders who can take up positions from Silly Point to Square Short Leg (very close to the batsman), Silly Mid Off and Silly Mid On (midway between the length of the pitch), and Long Off to Deep Fine Leg (boundary cover), as well as another possible 25 positions, and all with equally silly names. 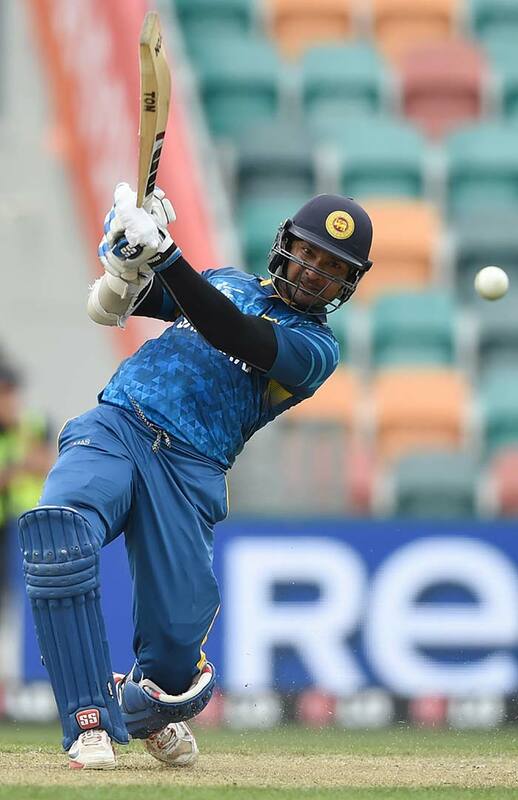 It is their job to prevent the batsmen from hitting the ball sufficiently for them to run between wickets, or hit the ball to, or over, the boundary thereby scoring an automatic four or a six. The fielding side can either prevent this by catching the ball whilst in flight (caught out), or retrieving the ball from the ground and returning it by aiming it at the wicket, in the hope that it will reach its target before the batsman returns to his crease (“run out” or “stumped”). The batsman can also be bowled out by the bowler if his ball hits the wicket, or even be given out if the ball hits his leg, which is called LBW (leg before wicket). The wicket-keeper is the batsman’s nemesis, and is ever keen to knock off the bails at any opportunity after catching the ball when it flies past the wicket – always in the hope that the ball clipped the bat or the batsman strayed outside his crease. Over the course of a match, the ball (which is red, extremely hard, made of layers of core cork and leather, and must strictly weigh between 5.5 – 6oz) cannot be changed unless under the strictest rules of the game. A ball should last the complete innings and at least 80 overs in test matches. This prolonged use can affect the properties of the ball and influence its flight. Consequently a bowler will polish his ball on one side by rubbing it around his groin area, or on the sleeve, which results in the characteristic red stains on his whites (trousers). Polishing it in this fashion can determine the “swing”, and some bowlers will spit on the ball prior to polishing. Ball tampering is a serious offence in cricket, and any form of physical interference, other than spit and polish, is forbidden. The match is won by the side which scores the highest number of runs over the two innings in the set number of overs, and on the aggregate over the five tests, regardless of whether all players have had their day at the crease. And now the big question. What is a googly? It’s a ball bowled by a right-arm spin bowler, designed to confuse a right-handed batsman by appearing to spin from leg to off, but actually spins in the opposite direction. Hence the term “to throw a googly”, meaning to confuse or upset an opponent, either in sport or business. Finally, a batsman is only called out if the umpire says so. And he won’t say so, unless he’s asked. How’s that? That’s right! “Howzat” is the challenge to the umpire in order to get his reaction, and he will raise his index finger if it’s a good call. If anyone sticks up a middle digit in response to his decision then he’ll likely be dismissed, because that is, along with all other forms of ungentlemanly conduct, certainly not cricket! Note: The title of this post refers to a commentary by Brian Johnston during a test match at the Oval in 1976, when Michael Holding of the West Indies was bowling to England batsman Peter Willey. February 3rd – a Bardiness day…..
February 3rd is not a date noted for major events in history, although the Dutch may disagree. Windmills were forbidden for export by them in 1752, and they lost their Caribbean island of St Eustatia to the British in 1781. Of course there were many great achievements by Holland, but I'm talking about events specific to February 3rd, and besides, I needed an excuse to show my favourite photograph of Amsterdam (right). …..Meanwhile The UK Office for National Statistics (ONS) report for the same period (see last post) stated that 30 million overseas residents visited the United Kingdom. In the same period (2010) 53 million UK residents went abroad. The population of the UK is estimated at 60m. Soon a new census will be counted in March, and the likelihood is that it could be much greater. But the figures state that there are more British going overseas for recreation than those visiting. UK airports are operating at full capacity.The British are not phased by politics, terrorism, weather, or industrial action. One wonders if this is a stoical approach built into their DNA? Not a day goes by without some scare or heart-pounding event, indeed the Brits seem colour-blind to the see-saw threat levels, and yet they methodically continue to make sure that they will get their holiday regardless. This spirit is unique. Recently British tourists were caught up in the Tunisian troubles, but the majority were more pissed off that their vacation was spoilt, and less bothered about the politics of the situation. It's really not cricket old chap! Why can't those countries get their act together? Carry on up the Khyber! In the meantime, international sham diplomacy continues with depressing regularity. The USA loses their sense of humour, the European Union dwells on bureaucracy, the Arab world hiccups and burps, extreme islamic terrorists blow themselves up in Iraq, Pakistan, and Afghanistan. 24 hour news programmes perpetually broadcasts horror and destruction. Yet, 53 million (that's right – 53 million!) British subjects, possibly the most educated people in the world, and if not, certainly the most potentially well educated, with free access to information, every minute of every day, chose to leave their homeland for a holiday. These people cannot be broken or worried. They come from stock which was honed through empire, and a way of life which runs through their blood. The average Brit would more likely complain about a weak cup of tea served in a hotel, than worry about rampant disturbance and revolution on the streets outside. Overweight and over indulged, and better off then previous generations, they are beneficiaries of a unique legacy. A French woman remarked one day that Paris was much more beautiful than London. Her English friend replied "That's because we didn't surrender." That's right. The British didn't capitulate, they didn't surrender, and they were bombed to virtual oblivion. Yes Paris is more beautiful. But that's because they allowed Hitler to march in. The French know this, much to their shame. And let's face it – the Brits don't wear their hearts on their sleeves, don't have a constitution, do not have a republic, but have a constitutional monarchy, a solid parliament, they sit on firm foundations, and for all their whinging pom mentality, can be confident in their multicultural skins. The Victorians believed that God was an Englishman.That is questionable. But surely he must drink tea! Just a Bog Standard Post……. I have two toilets in my home. One in the upstairs bathroom sharing its porcelain with the ubiquitous bath, shower, sink, and stainless steel taps (faucets for the non-Brits) and the other one in less grand company downstairs. It's just a bog standard loo. When I was a wee sprog the outside toilet was the norm. My maternal grandparents had theirs at the end of a long garden next to the coalhouse, and my paternal grandmother had hers at the rear of a yard, again next to the coalhouse. All lived in typical late Victorian terraced houses built for the industrial working masses of North-East England. Its just that one was considerably bigger than the other. One had a good size garden, the other a concrete oblong excuse for one. Yet both houses had a cobbled back alley where the coalmen would deliver their essential fuel, and where everyone hung out their washing in the hope that all the kids wouldn't spoil them with their games, which generally revolved around cavaliers and roundheads, World War II, football and cricket. The latter were of particular concern to the neighbours, because wayward dirty balls invariably resulted in wayward dirty washing. I was lucky because my parents were rather flush and had an indoor toilet. Unlike my friends and relations. However, when I was a kid I thought nothing about making my way to these remote sanctums of relief with musty smells and dim light and finding the only wiping facility available to be the previous day's newspaper (actually there was a large collection of old newspapers, which would be worth alot now, assuming they weren't used). But I also remember other very comforting smells from those distant times. My grandfather served in the Royal Navy in both world wars, so by time he had retired to his armchair by the hearth in the early 1960's he was fairly knackered. The wars had taken their toll, but naval paraphernalia decked out the walls, with old photographs, ship memorabilia and traditional but practical furniture. Alongside his chair beside the fireplace was a pipe rack. There must have been a dozen different shaped pipes, together with a pot of tapers for lighting. A selection of tobacco would be in small tins beside them. Depending on his mood, he would select carefully his pipe and tobacco. He would light them with a taper lit directly from the fire. Yet the smell of tobacco was not the odious and obnoxious smell of the chemically manufactured filtered cigarette that is prominent today. These smells invoked comfort and character. They pervaded his house and were very aromatic. I also remember that he had several tattoos on his arms, which were more cherished than his medals. He would take great joy in showing them, so long as his wife wasn't around. How many ports he sailed into, and what mischief he got into will remain unknown forever. By the end of the decade the world was changing and he was bedridden. I had not quite reached the teenage years and recall spending much time with him playing dominoes – a game he was especially good at. Yet even in his dotage he would not want to be beaten. Indeed he took great pride in beating me. Of course, by then I knew he was cheating, but I didn't make a fuss. I said to my mother "do you know Granddad cheats at dominoes?" "Yes son" she said bemused "And thanks for not telling him!" He used to keep his medals in a box under the bed and never allowed them to escape. He was a gentle, charming man who never discussed his war years. He was from a different age. A different time. Along with all of his generation he is long dead. Dead and departed along with his beloved wife, and dead and departed along with his beloved children. There are many grandchildren, of which I am one. We are the ones with the on-suite bathrooms, the de rigueur brass Victorian taps, the bidets, the heated towel rails and the power showers. We are the ones with the children who have never experienced an outside loo. World Cup 2010 – The End of Football As We Know It! Unfortunately, this is the World Cup which changed the game. No longer will we be able to get riled and angry blaming "the Ref". No longer can we have arguments in the pub about dubious decisions. No longer can the referee's decision be final. After today, the glorious game will be monitored by technological micro chips, and if it happens at FIFA, it will happen at UEFA and eventually football associations around the world. Congratulations to Spain, but just prior to their goal, there where two decisions which could have affected it. When Maradona's Hand of God gave Argentina the divine intervention, England suffered in 1986. Then, for all the huff and bluster, it was regarded as dubious sportsmanship, nay gamesmanship and the name of the game. In the South African World Cup, England again was the victim of a poor decision in their match with Germany. Could these events have changed England's mental and physical performance in both these games? Who knows. Holland were superb in the 70's but never won the tournament. They took it well each time they made it to the finals, and that small country was big enough to handle it. As they will now. The Netherlands is unique in Europe. It is the most charming country, and I for one feel utmost pain at their defeat. England were on the top of their game in 1970. As Champions they had the greatest collection of players in the world. However, a win on home soil at Wembley and then to play in the oppressive heat of Mexico demanded physical fitness and acclimatisation which most players were not used to, and they didn't play for teams overseas either. On top of that the respected captain Bobby Moore was arrested for stealing some bracelet or other. Clearly innocent, it was an event that he and the players needed to rise to. How that would have been treated by 24 hour news media today I dread to think. No doubt the BBC and Sky would have catapulted their journalists all and sundry to dig the dirt. Fortunately, that facility wasn't available back then. I'd like to think that Alf Ramsey would have shoved his opinions up where the sun doesn't shine (Fabbio take note). But let's remember the greatest ever football match – that one in Mexico between England and Brazil. Sadly, if the micro-chip existed then, perhaps we wouldn't remember at all. Joking aside the problems are obvious. The flow of the game will be interrupted in the future. The heat and passion will be removed. The referee and his linesmen will not have ultimate authority, but usurped by the micro-chip – in the ball, in the net, and God knows elsewhere. Big Brother has arrived in the great game. Fans may think this a step forward, but they do not realise the loss of human interaction. Football has almost become a non-contact sport, and what would be the point of defenders giving their all if their tackle can be instantly replayed. Ok for the pundits and followers, but for the referee his whistle would just be a passage of hot air. The money is so huge, the international prestige and showcase so massive, that there is no room for error. American team sports are clinical affairs dictated by sponsors and advertising. Today Wimbledon uses the technology to ensure a ball in or out. The likes of McEnroe, Borg, Connors, Năstase etc could not have been as entertaining with the electronic all powerful spy. And as for the women – I'd rather watch Yvonne Goolagong over the William sisters any day. In tennis, human officials have been replaced by the micro-chip, and the game has suffered. When was the last great Wimbledon tournament? Rugby has it's sin bin, but it is a contact sport and the referee must be respected. He has a link in his earpiece to a third referee when he needs it. Cricket still maintains its umpire authority except when a wicket is in dispute. Football (and by the way FIFA stands for Federation of International Football Associations for anyone thinking that the game is called "soccer" – It's not FISA) is different. This World Cup has created a knee-jerk reaction, fuelled mainly by media pundits because England had a goal disqualified. Sepp Blatter (the FIFA bigwig) after much soul searching (about 48 hours) concluded that goal-line technology must be implemented – something he has rejected for years. But the power of the dollar is paramount. The money is too great. Football must enter the techno, clinical world of absolute accuracy. This World Cup was not the greatest, but it meant alot for South Africa. Whilst they and the Spanish will dance into the night, and for many nights to come, a wake will be held elsewhere - because the truth is football died in 2010 and it will never be the same again. Bill Clinton is in South Africa and attended the World Cup game today between the USA and Algeria. The camera caught his very puzzled expression after his country had a goal disallowed. It was clear that Sepp Blatter, the FIFA president sitting next to him, was attempting to explain to the ex-president the off-side rule. Yeah – its a mystery for many. It's a good job he wasn't watching a cricket match. That would surely have made him wish he was back in the Oval Office with less important things to figure out – like the state of the world for instance. All credit to the USA – Americans may not realise just how crucial their eventual goal was. Had they not beaten Algeria, they would have returned home and the group qualifiers would have been England and Slovenia. As it turns out, they topped the group – a great achievement, and qualified along with their best friends. Speaking of which England had the nation holding its breath once again – the agony and ecstasy played upon the emotions once more. Meanwhile the green and pleasant land is basking in sunshine and not everyone was glued to events in South Africa. Wimbledon is in play, and the crowds there had a football free zone. So whilst many were perspiring with expectation for the nations pride, the tennis set was decorous, laid back, and adopted an air of classic pompous decorum, with no desire to forego their champagne, strawberries and cream in favour of beer and pizzas, happily forgetting the other important sporting event thousands of miles away. There are no English tennis players left in the tournament and its only day three, but there is a Scotsman. Henmanesque hopes prevail for Andy Murray, and all is well because he is British. So whilst the flag of St. George will continue to fly amongst the masses supporting their football team, the Union Jack will fly at Wimbledon supporting the last hope. We are the UK at the Olympics, British at Wimbledon, and English at the Football World Cup. It's all nicely convenient. What other country has such choices? The problem is we don't win any of them. Well, we did win the World Cup in 1966, but then we played West Germany, and even they don't exist anymore. I should point out that England did win the Rugby World Cup in 2003. I remember it well because I watched it in Baguio, the summer capital of the Philippines and 5000ft above sea level. The current Rugby world champions are South Africa, which strangely enough brings this post full circle. Well its official. 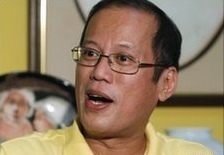 Benigno Aquino III is proclaimed as the President of the Philippines. A month after the national elections the count was finally concluded. After an automated voting system designed to expedite accuracy and fairness, it has taken a month to officially count the votes. The result being that he won with 15 million votes, five and a half million more than his nearest rival. He is a politician not renown for his political acumen nor for his conventionality, but his heritage has struck a chord with the electorate. He sailed on a campaign to end poverty and corruption, so to say he has a tough challenge would be an understatement. But perhaps more so because the people hark back to the legacy of his parentage. 27 years ago his father Benigno (Ninoy) was assassinated as he descended the steps of the aircraft which brought him back to Manila after exile in the USA. This was the catalyst of the Marcos overthrow, and heralded the people power revolution which brought Corazon, his mother, to the presidency. It is this lineage – a father murdered, a mother a president, and the removal of the infamous Marcos regime that now hangs over the new leader and fuels great expectation. But it won't be an easy ride. This is not the blog to expound theory or analyse Philippines political history – there are greater sources. But for sure, here and now at stake is the soul of the Filipino, and his country's place in the world. At stake is his pride and identity after years of debilitating and relentless mismanagement and corruption which has seen his nation fall from being an Asian tiger in the 1990's to an exploited, underachieving shadow of its former self. If politics is cricket, then lets hope that this batsman can hold his crease, protect his wicket and hit some corkers. Lets hope he has a great team around him. A cricket match is a series of tests, and never won after the first. But this is not about an urn of ashes – but it is about a phoenix – a remarkable bird of spirit, wonder, colour and courage which rises from them. Lets hope this is not just a myth! A summer for staying at home and forgetting about long haul air travel. The ashes are upon us, so for the next seven weeks the English and Australian cricket squads will battle it out at five different grounds in England and Wales, the former in an effort to regain the ashes, and the latter to keep them. There are few sporting occasions which raise hackles and passions more than this biennial event, and the last time the series was here in Britain was 2005. That was a victory for the home side, but two years later in Sidney, the holders were a shadow of their former selves and suffered a 5-0 whitewash. Well, judging by yesterday's performance England had the jitters early on, but they rallied and managed to close at 336 for 7. As they returned to bat today, the Aussie bowlers were keen to dismiss those remaining wickets. It's been a sobering second day. I think England bowled 56 overs without a wicket. Their spinners were really not effective. A superb innings for Australia at the close with 249 for 1. English bowlers are going to have to pull out all the stops tomorrow. Nevertheless, the first two days have been fascinating. I must say that I envy seeing the spectators at Cardiff. If there is one pleasure of many then it's attending a cricket match. It doesn't have to be a big event, I'm equally happy watching a local game, and I regularly sit in the small pavilion on Kew Green following the Kew Cricket Club. I'll be at Lord's for the second test, and that's my highlight for the year. Non-cricket readers may wonder what I'm talking about, but if you've read this far, you may like to check out my Squidoo Ashes lens, which sheds light on the subject, and attempts to explain what all the fuss is about. Also visit to hear live Ashes commentary and to see latest images. Check out this video for some patriotic fervour. It's Jerusalem sung by English soprano Keedie.